Friends of Budincich Chiropractic, the future is here. These words, attributed to Thomas Edison - one of the most brilliant inventors of our time and written over 75 years ago - have come true. The sickness and disease model of health care that has predominated the health care market is giving way to the wellness model, promoted by the chiropractic profession for over 107 years. The difference between the wellness and disease model is the difference between treatment and prevention. It is always easier to keep someone better than to get them better. The predominant practice - the disease model - was to treat the symptoms when and if they appear. Wellness is the active practice of healthy choices in the areas of exercise, nutrition, posture, rest and attitude - and in a fully functioning spine and nervous system, is a way to maintain the health your body is inherently born with and allow it to manifest. The model of symptom care costs this country over one trillion dollars per year. For this, we in the U.S. rank 32nd in comparison to other nations in respect to the health of our citizens. Why, with the most expensive health care and technologically advanced system, are we fairing so poorly? In 1993. Dr. David Eisenberg studied the utilization of "alternative" care (chiropractic, acupuncture, ayurvedic, Chinese medicine, etc.) in the U.S. and was surprised to find that the number of visits to "alternative" care outnumbered the visits to traditional, allopathic medical doctors by approximately 40 million (386 million vs. 426 million). This study was revisited in 1997 and the numbers had dropped from 386 million visits to MDs to 368 million and the visits to "alternative" doctors went from 426 million to over 600 million. The "alternative' providers are now providing a majority of the treatment. He asked why? Were people being swindled? No, the reason they were going elsewhere besides their medical doctor was the results they were getting. In the U.S. it is estimated that medical malpractice kills over 300,000 people each year and causes severe, life threatening, reactions to over two million people each year. Medical malpractice is the third leading cause of preventable death in the U.S. behind smoking and alcohol. Some studies indicate that the effects of medical malpractice may even be higher due to underreporting of adverse events. Does this mean that medical doctors are bad? Of course not. There are many gifted and caring healers in the medical profession and without them we would be in a terrible situation. It is the system or model we have "bought into," that without taking drugs, health is not attainable. Look at the drug ads in the newspaper, the magazines, radio, and television. We tell our children "say no to drugs" but we then give them drugs and take them ourselves for every ache, pain, sniffle and sneeze, habitually. We are sending a mixed message. People are voting for a new paradigm. They want to be healthy, feel good and be successful without relying on drugs. The nutrition and supplement industries grow exponentially each year. Health clubs are opening everywhere. Magazines, books, and shows are dedicated to this movement of wellness. 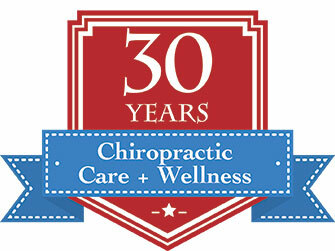 The chiropractic profession stands at the forefront to be able to be the "portal of entry" into this model of health. Chiropractic identifies the cause of the symptoms that you feel. They are also able to detect and correct vertebral subluxations, misalignment and altered function of the spine and nervous system that can diminish the function of your body. What causes subluxations? There are three causes: physical, chemical, and mental. Physical includes the shape your body is in, the posture, what type of work do you do, past injuries, genetic factors, and other related factors. Chemical factors include the food you eat, what you drink, vitamins, drugs, and the air you breathe. Mental trauma can come from "lopsided" perceptions causing stress. Emotional trauma can be stored in muscles and joints and can cause repetitive microtrauma. These three causes result in the way your body feels and functions. When the effects of subluxation builds you experience them as symptoms. The symptom is the "tip of the iceberg." The problem lies beneath the surface and this is what causes the most damage. Your doctor of chiropractic can be the resource you need to live a healthy life. We at the Budincich Chiropractic Clinic strive to be not only a way to return you back to health but to maintain it. We have programs in the evening that are free to you and your friends. Spinal Care and Posture and exercise programs are held every Monday night. Exercises and activities of daily living are addressed with each patient. Nutritional and nutritional supplement (nutraceutical) recommendations are also provided. An environment of support and happiness is provided by each doctor and staff member so that your experience here is the most pleasant it can be. If there is a problem, we strive to correct it by taking responsibility (if it is our error) and if there is a common problem and favorable solution can be reached. We also have a vast network of other physician providers and resources to assist you if the situation warrants referral. Come join us to learn how to embrace and live this new paradigm of health. We recognize that there is a healthy person in each and every one of you trying to get out. Let us help.